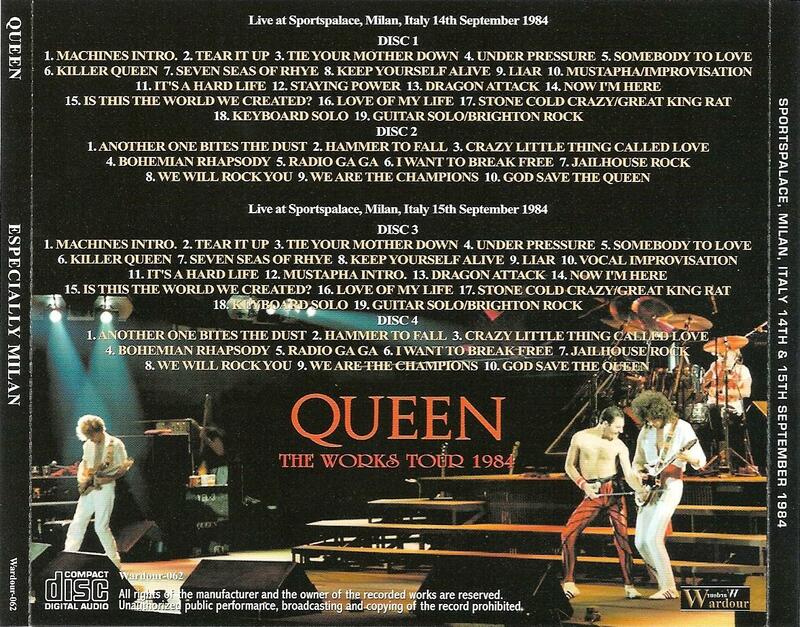 This is the first of two nights in Milan. 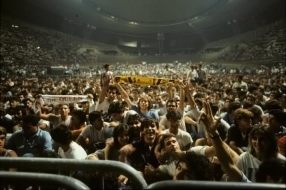 Few bands played in Italy in the 70s due to lack of promoters, venues, and security (recall the riot when Led Zeppelin played in Milan in July 1971, which exists on tape), but the bigger acts started performing there more regularly in the 80s. This particular venue in Milan would be destroyed in a snowstorm in the coming winter. 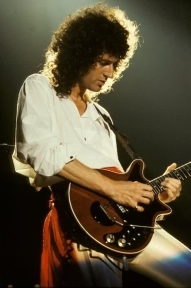 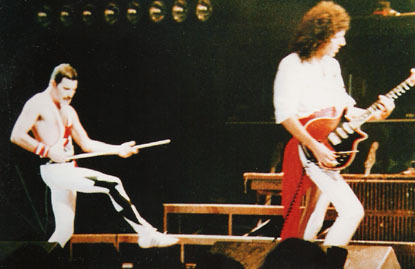 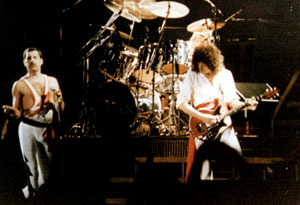 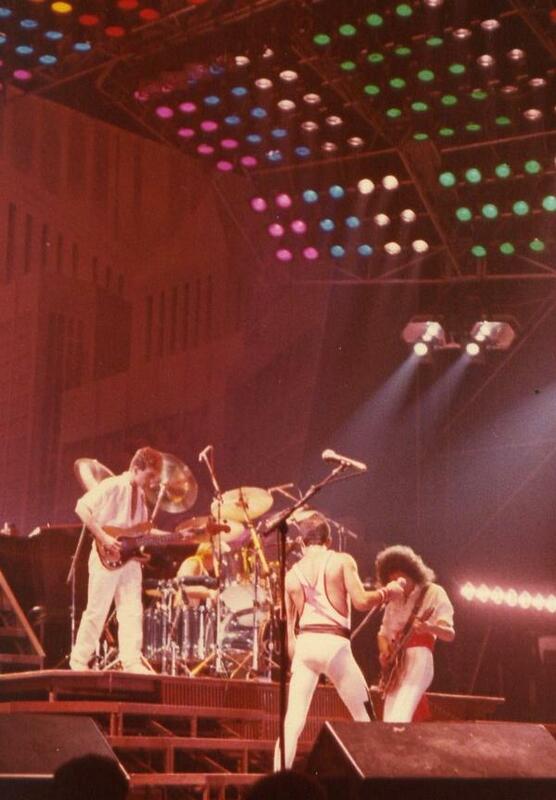 Brian breaks a string at the end of Keep Yourself Alive, so Roger and Freddie do a brief improv until Brian gets a Red Special copy for Liar. 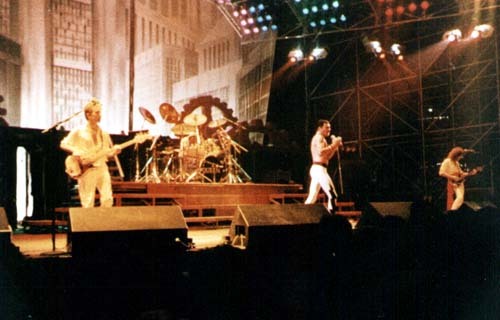 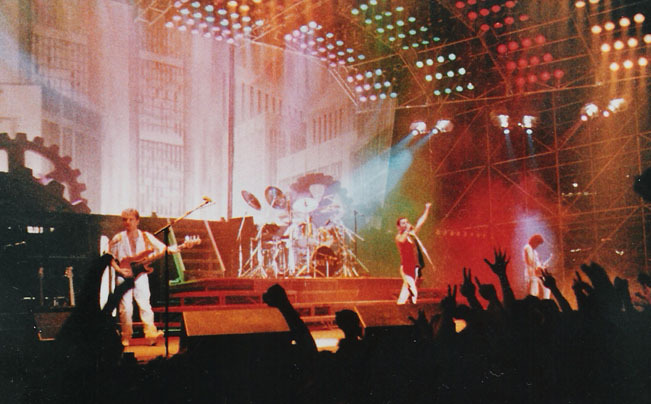 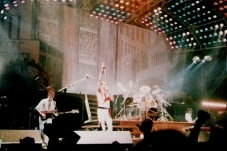 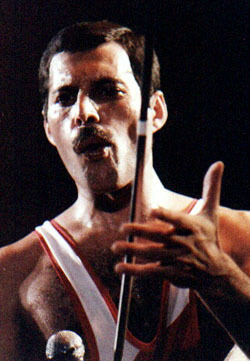 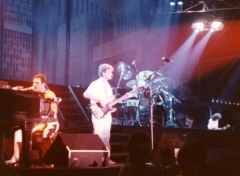 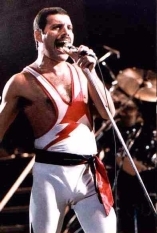 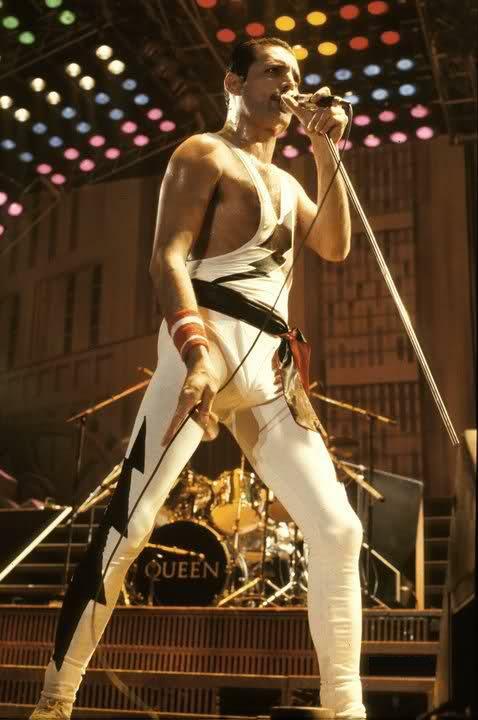 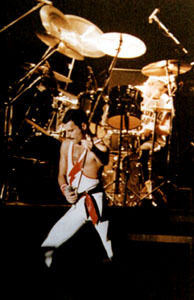 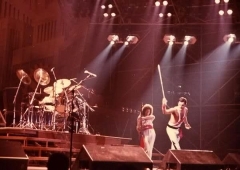 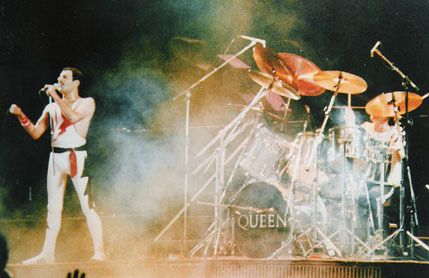 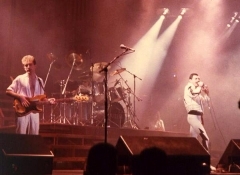 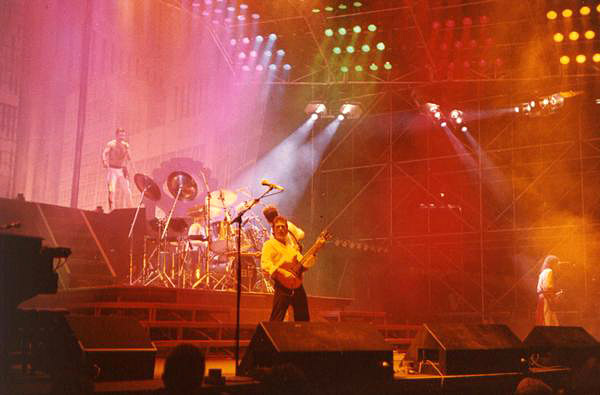 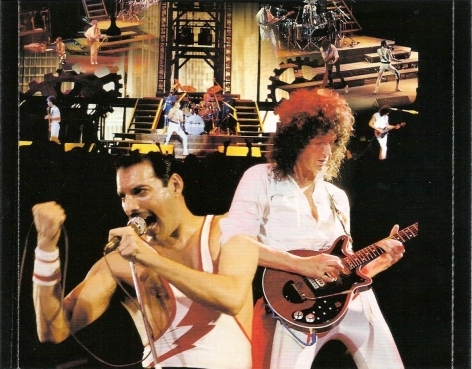 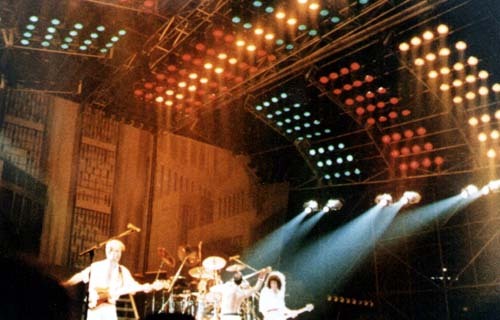 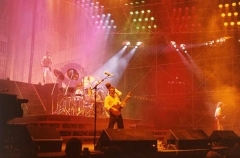 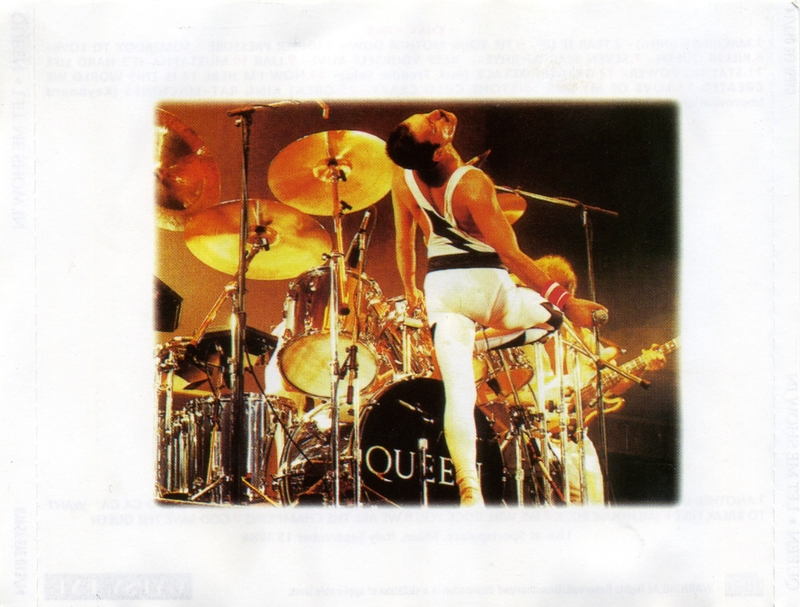 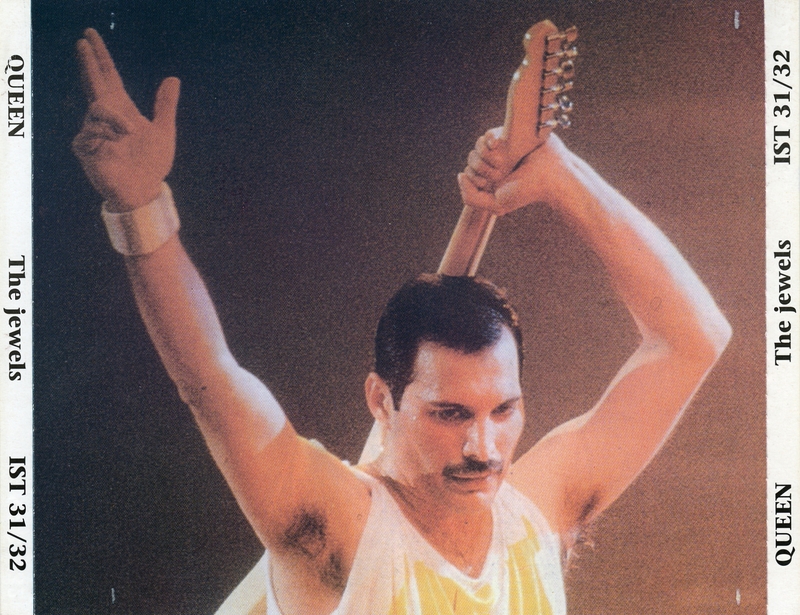 The audience chant for Mustapha, and Freddie responds by incorporating it into his usual vocal exchange with the audience before It's A Hard Life. 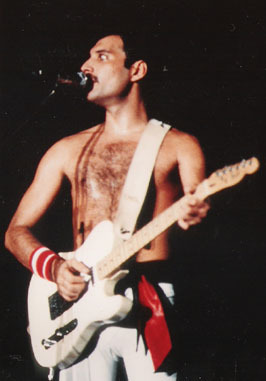 It's the first time he has sung the bit since 1982. 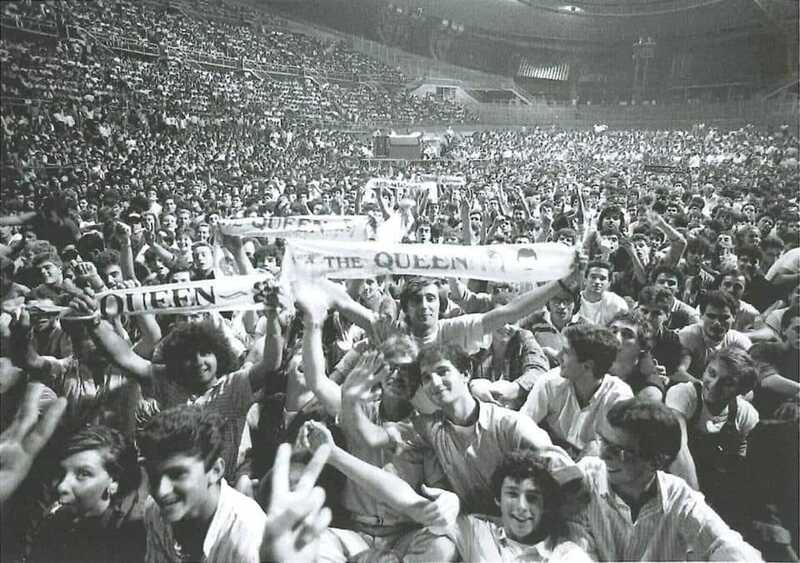 Interestingly enough, this is the first time since 1978 when Queen have referenced every existing album in their catalogue at a concert. 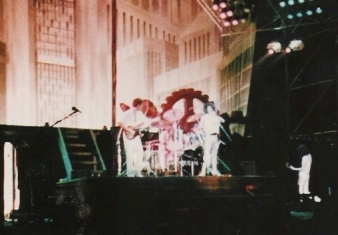 Tonight is the last performance of Staying Power. 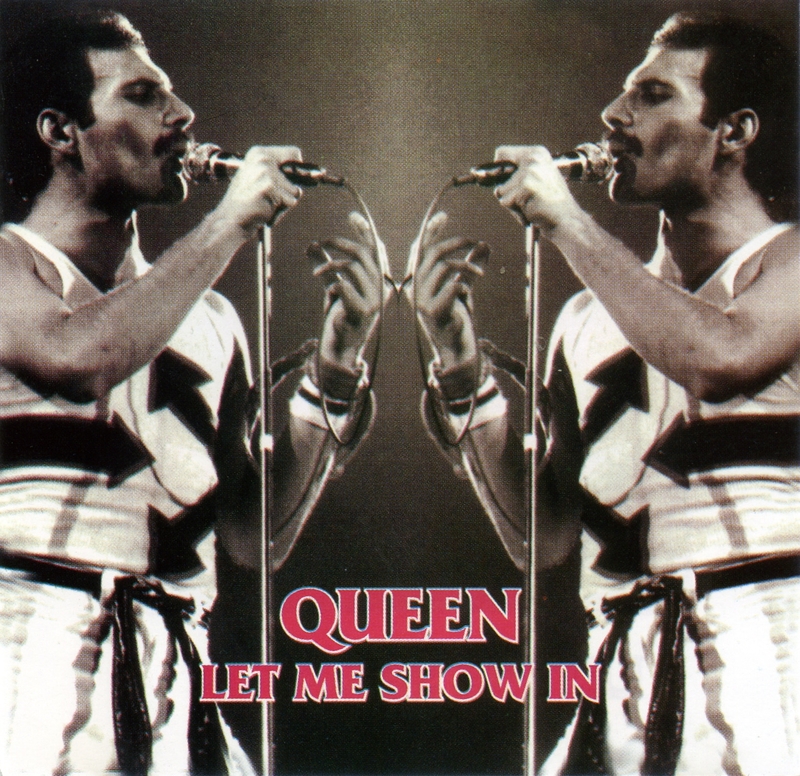 It's dropped probably because it is so demanding for Freddie to sing, but this last version is a very good one. 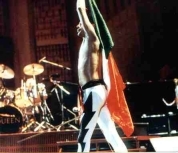 His voice is in pretty good shape after having played only one show in the last 5 days. 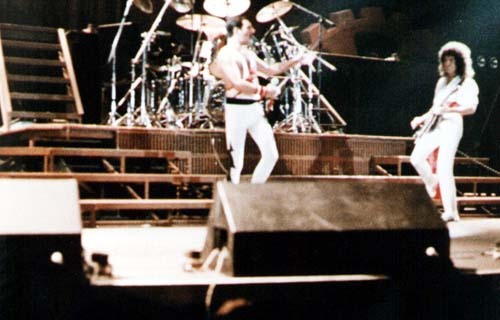 In the ensuing Dragon Attack, Brian really lets it rip. 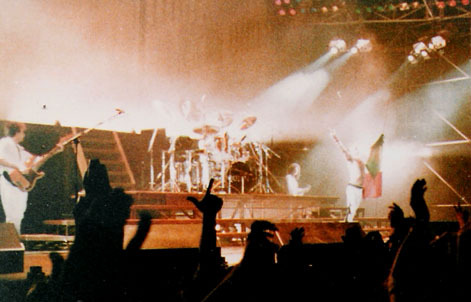 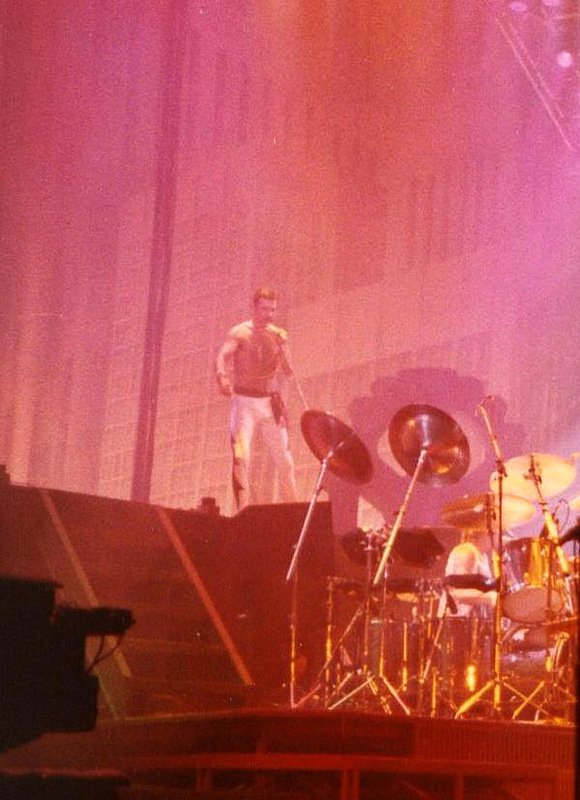 Freddie comes out for the encore of We Will Rock You with an Italian flag, a gesture appreciated by the fans. 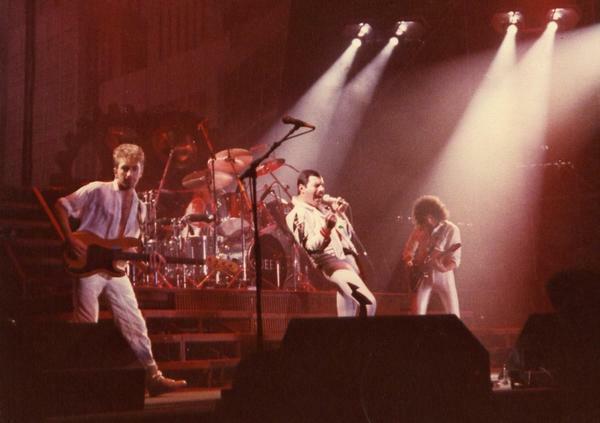 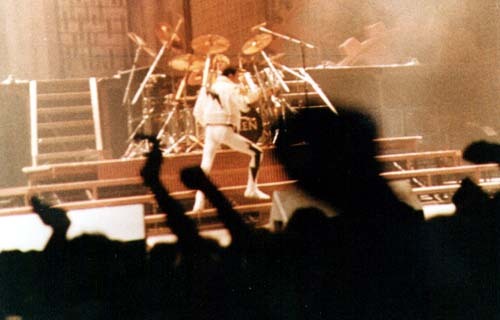 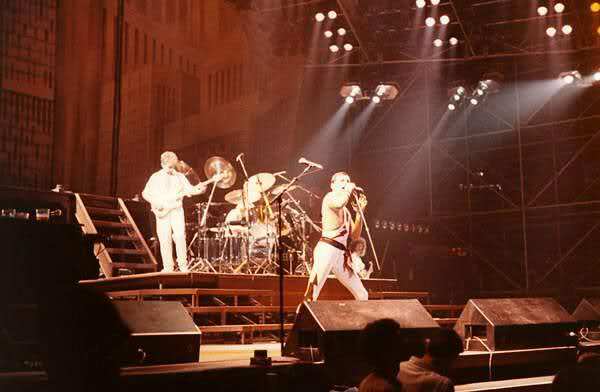 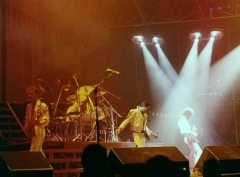 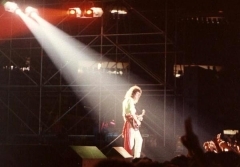 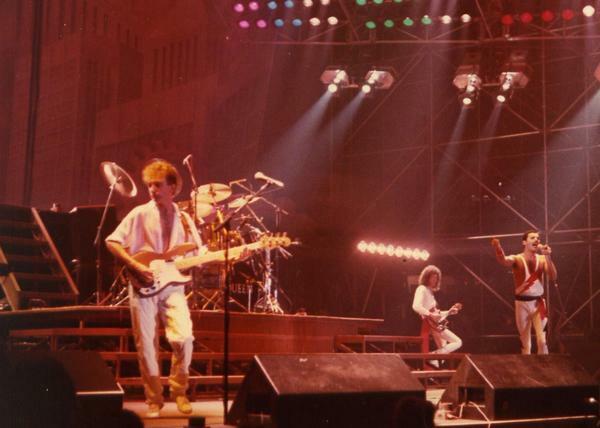 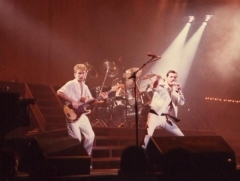 He would do this at a few shows in 1985 (in Rio and Tokyo) and most shows in 1986. 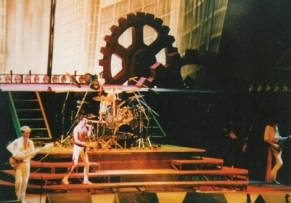 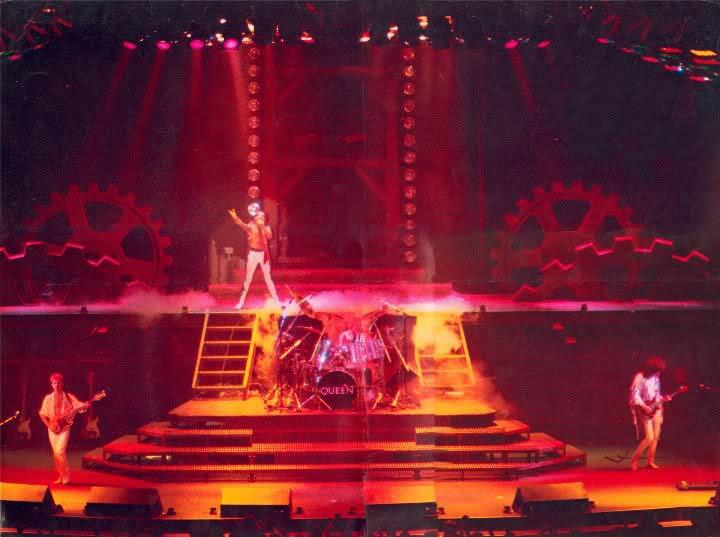 About a minute of Tear It Up, filmed with a single camera, is shown on TV not long after the concert (unfortunately with a voice-over). 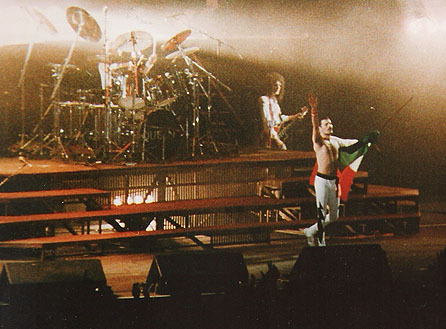 The band are interviewed for Italian TV around this time. 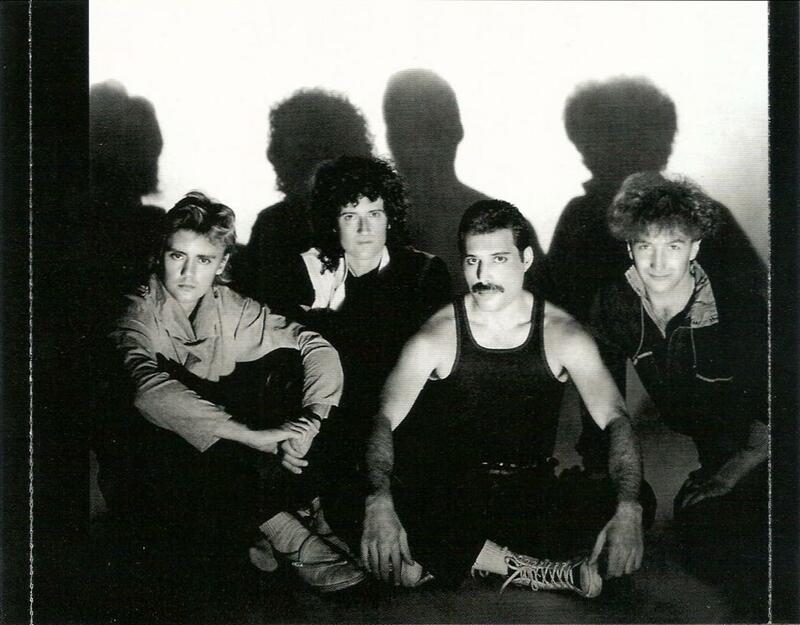 The spot is full of cheeky comments, particularly when asked how they manage to stay together. 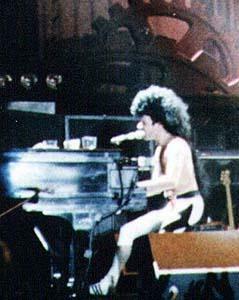 Roger bluntly responds, "We're sensible. 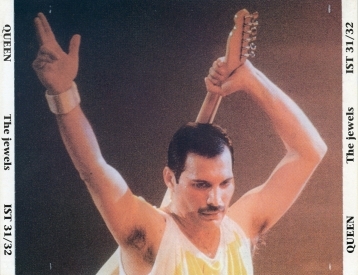 We're not stupid!" 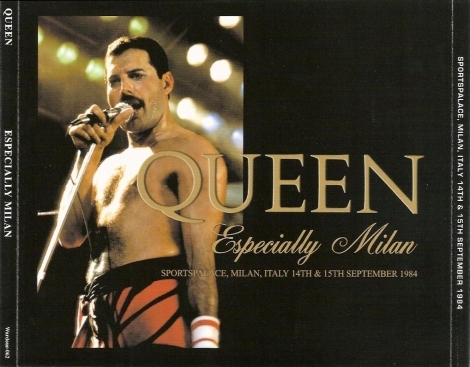 Many of the photos seen above were submitted by Alessio Rizzitelli and Fabio Tosti. 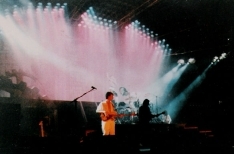 This 1994 bootleg was the first release of this show. 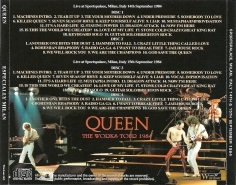 It contains one of the best-sounding audience recordings of the Works tour. 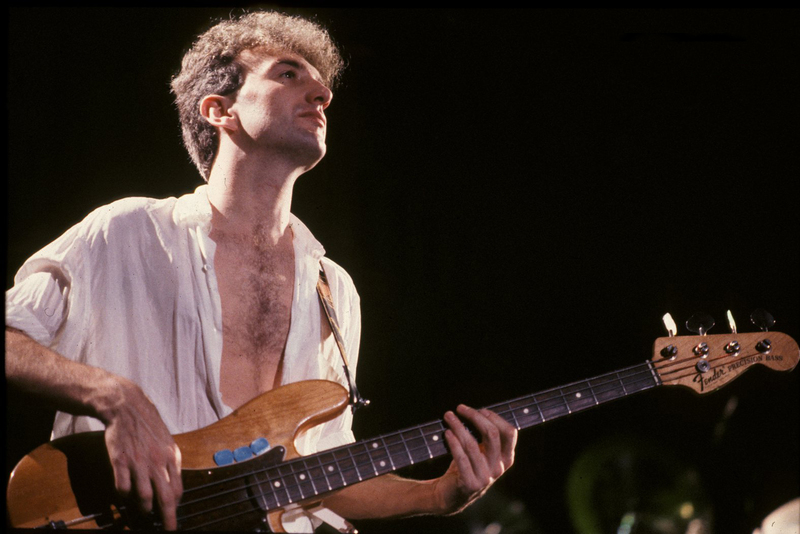 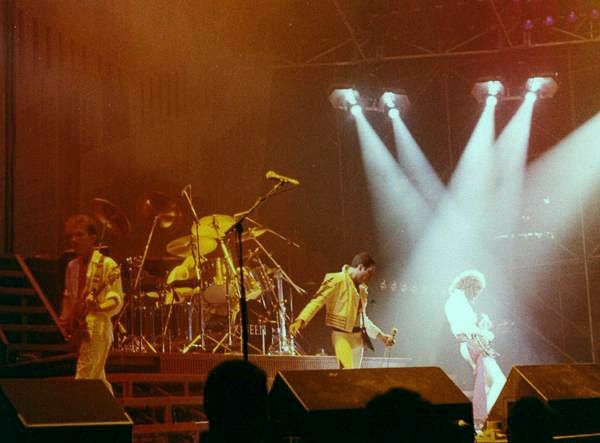 John Deacon can be clearly heard singing in the second chorus of Radio Ga Ga. 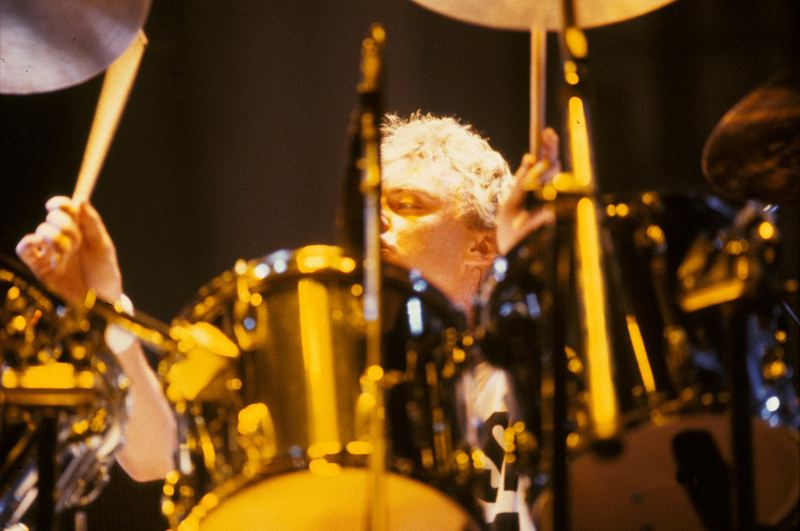 Whether or not he should have been turned up in the mix is a matter of taste! 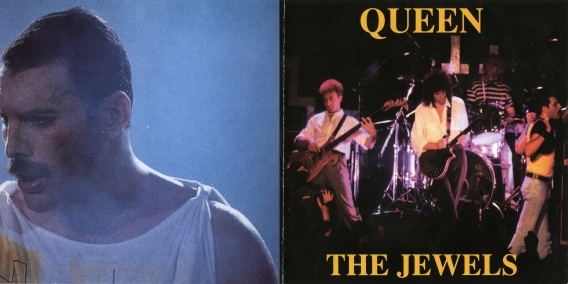 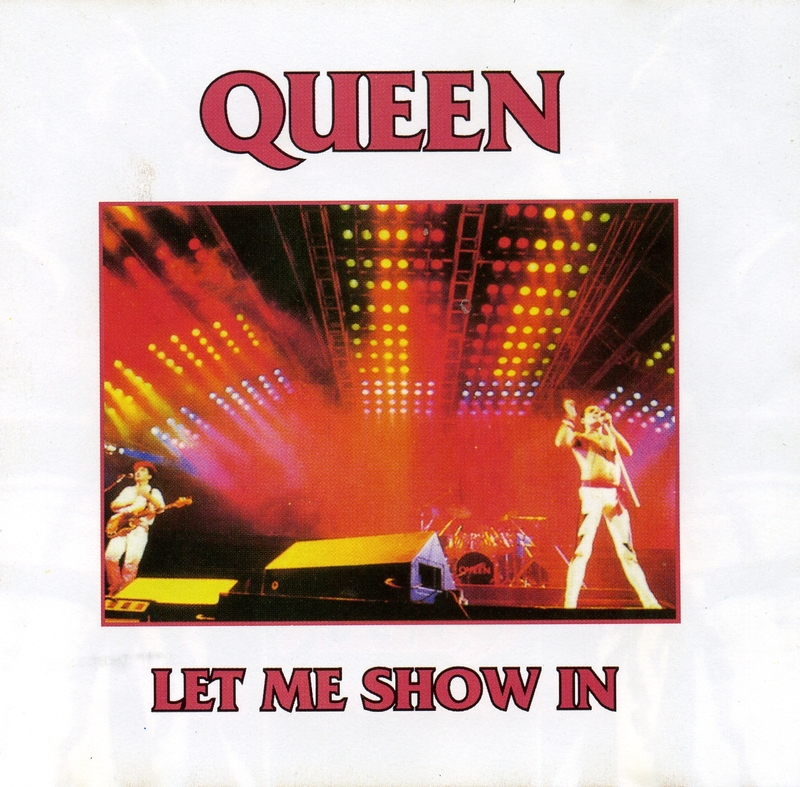 A few tracks from Milan (presumably taken from The Jewels) were bonus tracks on this 1995 bootleg containing a rip of the "We Will Rock You" VHS of the Montreal '81 shows. 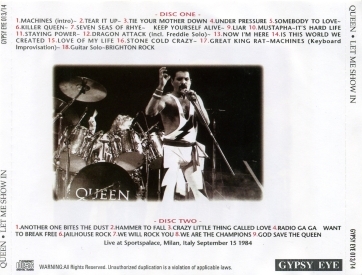 The rest of the bonus tracks are from Wembley '86. This 1999 bootleg is a straight copy of "The Jewels" (Bohemian Rhapsody is present despite its omission on the cover), although it has been EQ'd, and the standard Gypsy Eye crackling treatment has been applied. 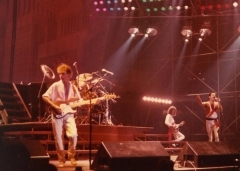 This is a re-release of the same material, with some songs from the Tokyo '85 soundboard tagged onto the end (not from Brussels as indicated on the cover). 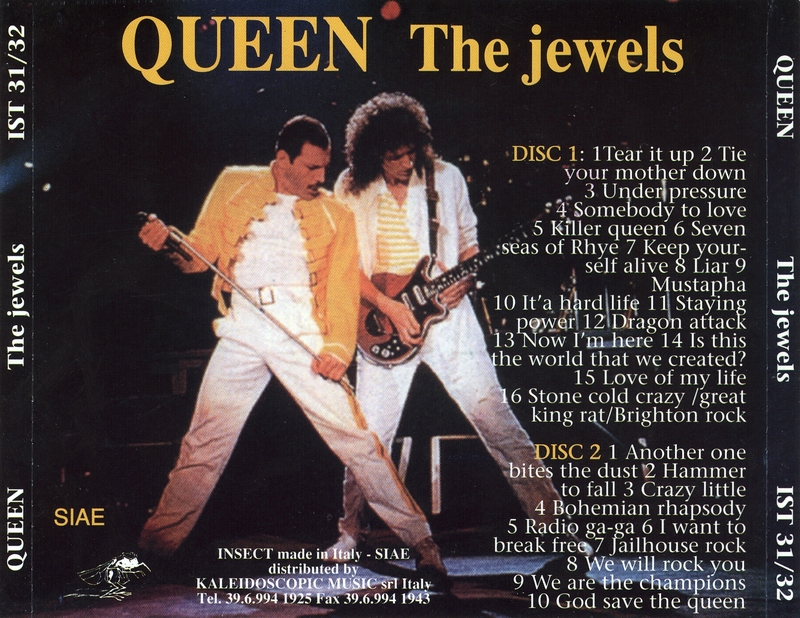 The material from the first night seems to be a straight copy of The Jewels with a bit of hiss reduction applied.